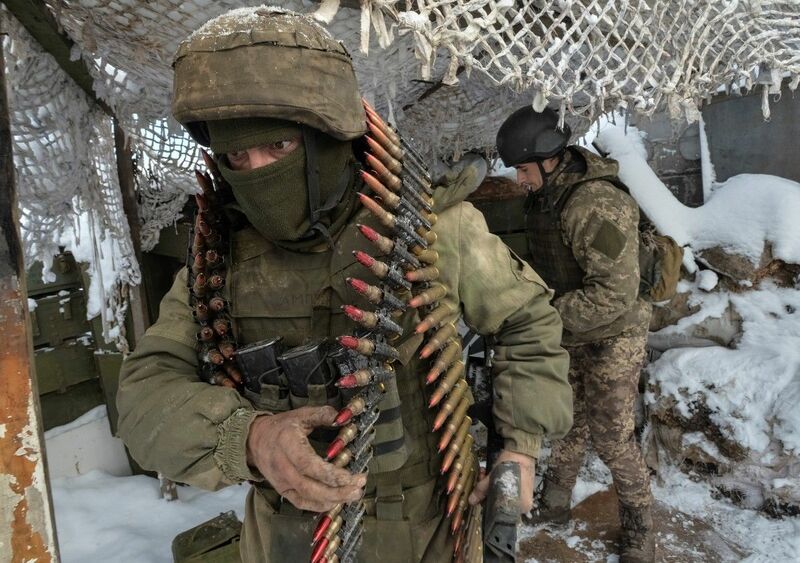 Russian occupation forces have cynically violated the "Christmas ceasefire" as they attacked the Ukrainian army positions three times on December 23, according to the press center of the Ukrainian Anti-Terrorist Operation (ATO) Headquarters. In the Luhansk sector, the militants fired an 82mm mortar, grenade launchers, heavy machine guns and small arms on the Ukrainian fortified positions near the village of Luhanske at the Svitlodarska Duha bulge. An enemy sniper also shelled the Ukrainian soldiers in this area. Read alsoContact Group announces truce in Donbas starting Dec 23In the Donetsk sector, the invaders violated the ceasefire, using machine guns near the town of Avdiyivka, as well as small arms near the village of Lebedynske. "Such insidious actions of the Russian mercenaries testify to interest in further aggravation of the conflict and demonstrate the unwillingness to observe the ceasefire," the ATO HQ said.